When the Miami Marlins drafted shortstop Avery Romero out of Pedro Menendez High School they knew exactly the type of person and player they were getting. Through his high school years, Romero had earned the reputation of having a strong work ethic and having an advanced bat for his age at the plate. During his playing career at Pedro Menendez, Romero played primarily at shortstop his final two seasons. Scouts around baseball loved his hit tools but many had a difference of opinion on where Romero might end up on the diamond. As the 2012 draft approached organizations viewed Romero at every position on the diamond. A few teams even liked his skill set as a future catcher due to excellent pop-times during drills at a showcase he attended. 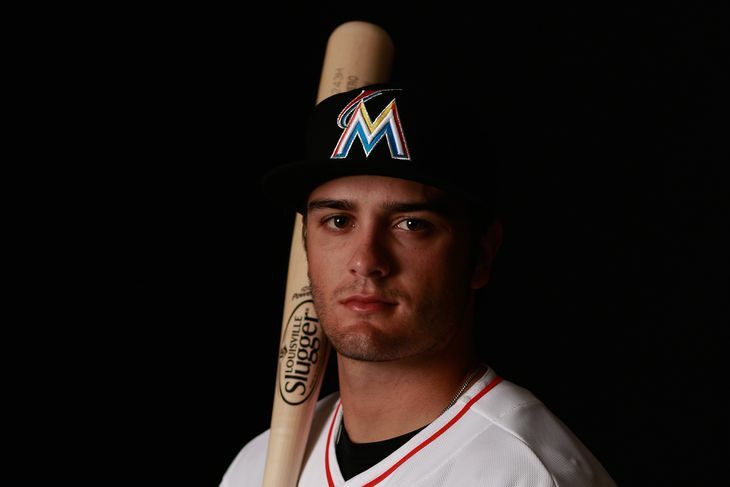 The Marlins selected Romero in the third round of the 2012 MLB draft knowing that he had a strong commitment to continue his baseball career at the University of Florida. The infielder had a tough decision to make and took his time weighing his options. On the final day of the draft signing period, Romero came to terms with the Miami Marlins and was set to begin his journey toward the major leagues. After signing on the dotted line, Romero was assigned to the Marlins rookie affiliate in the Gulf Coast League where he appeared in 33 games. Romero was penciled in all over the line up in his first season of professional action. The infielder saw time at second base, shortstop, and third base while hitting for a .223 average at the plate. As a young hitter adjusting to speed of the pro-game for the first time, Romero struck out just 21 times in his 121 at bats while drawing 10 base on balls. As the season came to an end, Romero was promoted to the Marlins New York – Pennsylvania League affiliate, the Jamestown Jammers. In limited action, Romero hit an impressive .381 over his 25 plate appearances and got on base over 45% of the time. Romero hit a home run off Sean Gilmartin while appearing in a 2015 major league spring training game. As the 2013 season began, Romero found himself in extended spring training back at the Marlins facilities in Jupiter, Florida. Romero worked on his game, honing his skills on defense, and at the plate awaiting an assignment with one of the Marlins teams within the organization. Romero was assigned to the Batavia Muckdogs, the new home of the Florida Marlins in the NY-Penn league as the short season was set to begin. Romero showed a strong bat in his time with the Muckdogs. Over the span of 56 games, Romero was a tough hitter for opposing pitchers to get out. He hit .297 on the season and only struck out 15 times in 235 plate appearances. In the field, the Marlins kept Romero exclusively at second base instead of playing him all over the diamond as in his previous year. Romero settled in at second and continued to improve his defense and footwork as the season progressed. Once again, the Marlins promoted Romero near the end of the season rewarding the infielder for his solid work during the season. In his first taste of baseball at the A level, Romero struggled with the bat hitting just .147 in 34 at bats. Romero was ready for the challenge of full season baseball to start the 2014 season. The infielder once again playing exclusively at second base swung a hot bat all season long. In 92 games with the Greensboro Grasshoppers, Romero hit .320 and had a OBP of .366. He continued to prove to be a tough out at the plate for opposing pitchers, striking out just 47 times in 399 plate appearances. Romero played a key role in the Grasshoppers success due to his strong eye at the plate and his ability to get on base. For the third year in a row the Marlins rewarded Romero with a promotion as the 2014 season came to an end. Romero spent his final 26 games playing for the Jupiter Hammerheads, the A+ affiliate for the Marlins. Romero nearly replicated his numbers from his time in Greensboro hitting for an identical .320 batting average and getting on base at a .370 clip. As the 2015 season began, Romero picked up where his 2014 season ended, playing second base with the Jupiter Hammerheads. In 29 games this season, Romero is hitting .250 on the year while still proving to be a tough out for opposing pitchers. The second baseman hopes to use his excellent bat-to-ball skills to continue to improve at the plate as the season progresses. He also hope to continue to develop as a second baseman in the field. As the season progresses we will continue to track his progress as he chases his way towards the major leagues. 1. Take us back to the day the Marlins drafted you. What was that day like and what were you doing when you found out you got selected? The whole day was a great experience for me. I was lucky enough to have some family in town. My grandparents were here as my graduation was right before the draft. So it was really great to have the whole family there. When I found out I was drafted I was actually playing basketball in the driveway and I got a phone call letting me know I had been selected. Being able to share that experience with family made it a very special day. 2. You had committed to the University of Florida before being drafted. Was it a tough decision for you to make between college and turning pro? Yes, it was definitely a tough decision, the Florida program speaks for itself. I had the chance to go down there quite a bit and the program and facilities are all top-notch. I really liked the school and the coaching staff. I also knew a bunch of guys who were going to be playing there. I had my mind set on that but when the opportunity came along after the draft I felt that the path with the Marlins was going to be better for me. 3. You played mostly shortstop before you became a professional but you have mostly played second base during your time with the Miami Marlins. What are the differences between the positions and was it hard for you to make the adjustment to second base? The biggest adjustment moving from shortstop to second base was just getting used to the little things such as where I needed to be in certain situations. Once I learned that and got everything figured out I started to become comfortable. I’m continuing to learn as I go along of course, but I feel more and more comfortable at second base every day. 4. You’re a tough guy for pitchers to strike out. Can you share with us your approach at the plate and why it is so difficult for opposing pitchers to strike you out? I’ve always considered myself a gap to gap hitter who can make solid contact and hopefully hit for a high average. I try to keep things simple when I’m at the plate and keep the same approach during every at bat. So far it seems to be working for me. One of my biggest pet peeves is striking out so I try to avoid doing that at all costs. 5. This spring you had an opportunity to get into some big league spring training games. In one game you connected for a home run off of pitcher Sean Gilmartin. What was it like getting into big league games and hitting that home run? It was a great experience getting to play with all those guys. The clubhouse has a bunch of great guys and it was a really great atmosphere. I learned a lot during my time, just watching what certain guys do and what their routines are. Everyone on the team just seems so willing to help and willing to teach you little things along the way. Just having the opportunity to get into one of the games was awesome and then to hit the home run was even better. That was one of the games my family got to come down and watch so that made it special. 6. Is there a coach, instructor, or any other player that has really helped you get to where you are currently at in your baseball career? I’m not sure I can single out any one guy in particular, the whole staff ever since day one with the Marlins has been outstanding. I have nothing but positive things to say about the coaches and all the instructors. Each and every one of them is willing to work and put in the hours to make you a better player. 7. What are your personal goals to achieve as the 2015 season continues? For me it’s to stay consistent all season long. I need to keep the same swing and keep the same hitting approach throughout the entire season. Have good at bats on a night to-night basis and square up as many balls as possible. 1. Whats your walk up song for 2015? 2. Who has been the toughest pitcher you have faced so far in your career? I’ve faced some really good guys but I’d have to say Tyler Glasnow of the Pirates. He is going to be a pretty good pitcher. The guys that tend to give me trouble though are the side arm slow throwing guys. I usually have the most trouble with them. 3. What has been the most memorable moment of your career so far? Last season we won the first half championship in Greensboro. That was a great experience and it was my first experience winning something in pro-ball. The entire team was awesome, we had a bunch of really good guys, so to share that with them was a great experience. A special thank you to Avery Romero for taking some time out of his busy in season schedule to talk to us. We look forward to following him all season long and into the future. Please like Chasing MLB Dreams on Facebook and follow us on twitter @CTD_Sypien as we continue to feature and follow all of our featured players as they chase their way to the major leagues.